Quietly Musing: JOY TO COLLECTORS ! 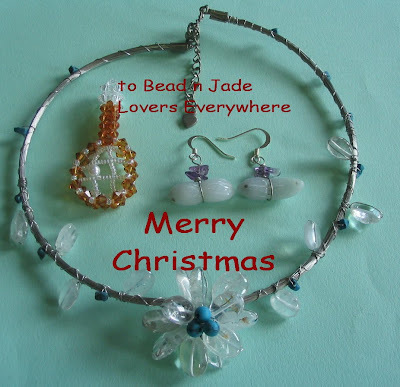 I am celebrating this holiday season with my beads and jade. 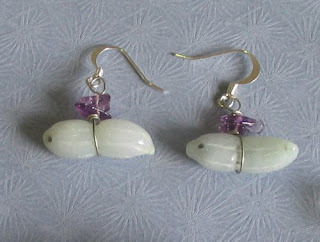 Only the white jade, peanut shaped earrings with amethyst chip accents were made by me. 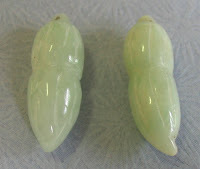 The crystal and turquoise beads necklace and crystal and pearl tennis racket pendant were finds at a craft stall. Although the white jade earrings is really shaped as a peanut, I thought my earrings ended up looking like a yuletide log cake. 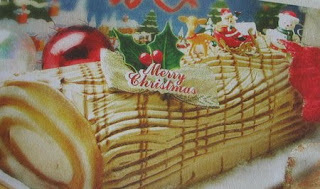 peanut or yuletide log cake?